Embrace your Inner Beloved through the transformative power of Shamanic Breathwork with founder, Linda Star Wolf! Only when we feel loved from within are we able to truly love others from a place of wholeness rather than neediness. When we feel connected to something Greater than our little selves, we have the inner resources to go about doing what we really came to this life to do and truly step into our Sacred Purpose! Teachings on Friday night and breathwork all day on Saturday. Breathwork weekend plus two additional days of training for those interested in becoming a Shamanic Minister or Shamanic Breathwork™ Facilitator. *Shamanic Breathwork™ is a safe and powerful tool for personal transformation that uses the breath, chakra-attuned music, energetic bodywork, art and group sharing to clear out energetic blocks, develop a profound connection with Source and open more fully to one’s Sacred Purpose. 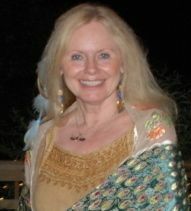 *Linda Star Wolf is the Founder of Venus Rising Association for Transformation, President of Venus Rising University and creator of the Shamanic Breathwork™ Process.